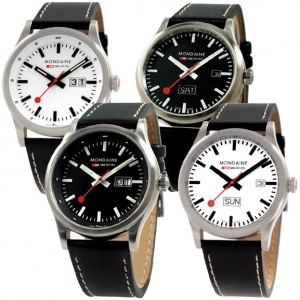 We also offer some special straps for more unusual Mondaine watches and, If you can not find the Mondaine strap you need, you can als send us an email with the serial number of your Mondaine watch (ususally indicated on the back of the watchcase) you are looking for. We wiil then contact Mondaine on your behalf. 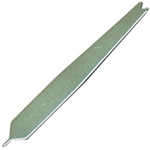 The original 14 mm replacement watch band for Mondaine Aura 30324 watches. 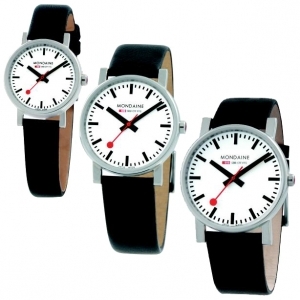 The original black leather replacement watch band for all Mondaine watches with a straight lug end. 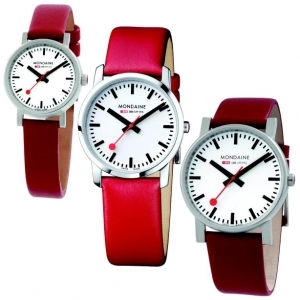 The original red leather replacement watch band for all Mondaine watches with a straight lug end. 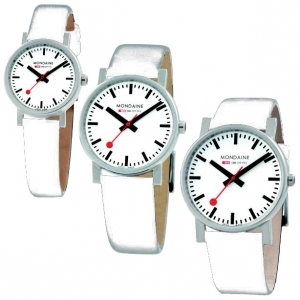 These are original replacement watch bands for Mondaine watches. These watchbands fit Mondaine watches. The original 24 mm wide replacement watch band made of black leather for Mondaine type Sport II 30338. 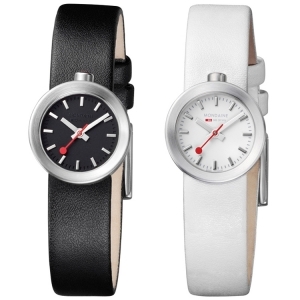 The original white leather replacement watch band for all Mondaine watches with a straight lug end. The original 22 mm wide replacement watch band for the Mondaine Retro 30345.